They look to be the best of friends! 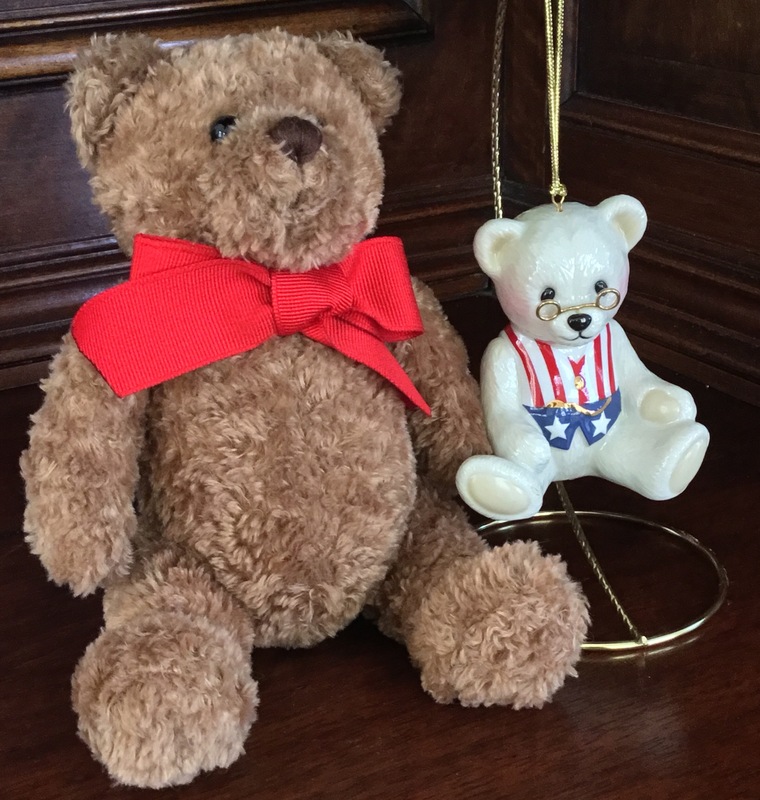 The stuffed bear is 7 1/2 inches high while the ornament is 3 1/2 inches high. Such a great set, it would be a wonderful gift for a teddy bear fan!